With our expertise in this domain, we are able to offer a superior quality range of torsion springs. these products are manufactured in such a manner that it meets the requirements of various industries such as packaging industry, auto industry and earth moving industry. 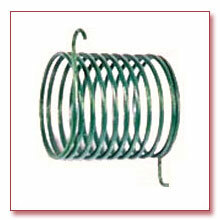 Our spring range is widely used where the resistance of rotational force or twisting force is required.